A veterinarian experienced in caring for a range of cat breeds, Dr. Jennifer Creed supports DePaw University Canine Campus as consulting veterinarian. Dr. Jennifer Creed’s professional background also includes time as emergency veterinarian at a clinic in Lisle, Illinois. An illness that interrupts renal function in cats, polycystic kidney disease occurs when cysts begin to grow in the parts of the kidney responsible for filtering toxins out of the body. The disease can manifest in any cat, though certain breeds are at higher risk. 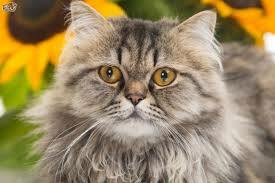 For example, Persian breeds or those related to Persians tend to develop the condition more often than other varieties. Often, polycystic kidney disease does not cause painful symptoms until the cysts have grown to the point that they begin to interrupt kidney function. At the later stages of the illness cats may experience nausea, vomiting, and reduced appetite. In many cases, cats have too many cysts for veterinarians to effectively drain them, meaning that providers may opt for a treatment regimen focused on managing symptoms through diet and with the aid of drugs. What Diseases are Prevalent in Ragdoll Cats?